China Through The Looking Glass, Appropriation or Tribute? The fashion industry's greatest night will happen in a few hours. I was treated to an early preview of the Metropolitan Museum of Art's Costume institute exhibit that will be the star of the 2015 Met Gala. 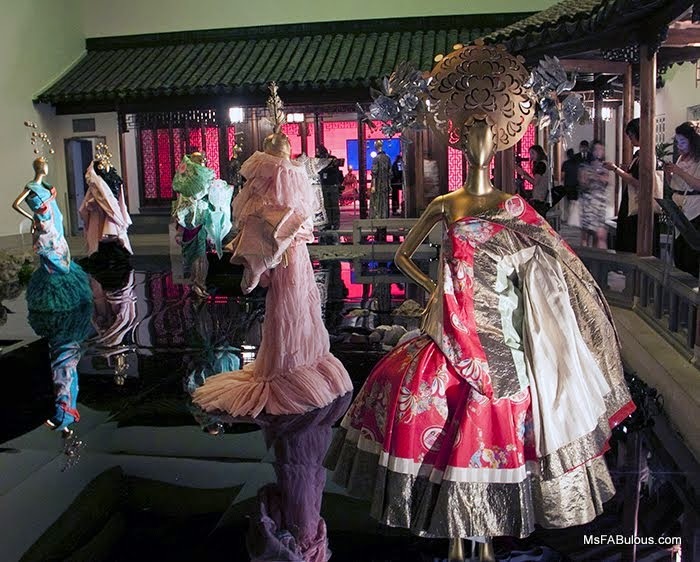 China: Through The Looking Glass was one of the most spectacular fashion exhibitions I have ever seen. 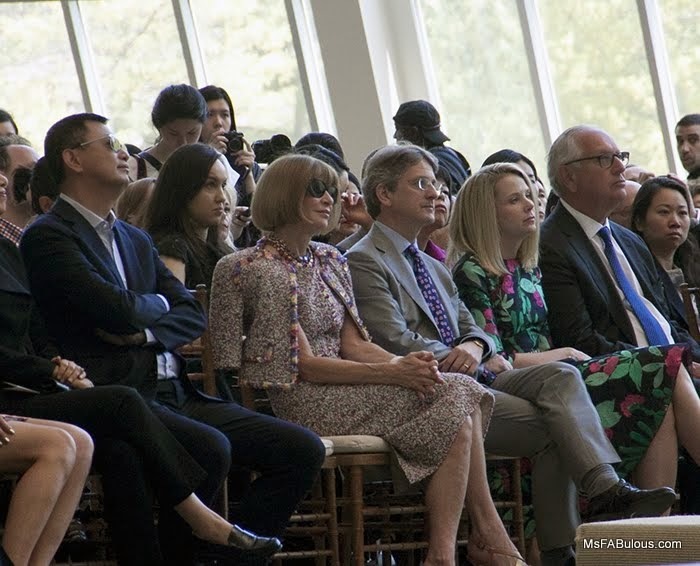 The morning started with remarks by Marissa Mayer, CEO of Yahoo, Andrew Bolton, the Costume Institute's curator and film director Wong Kar Wai, who also served as the exhibit's artistic director while reigning queen of Vogue Anna Wintour presided over the ceremony. The displays were stunning. 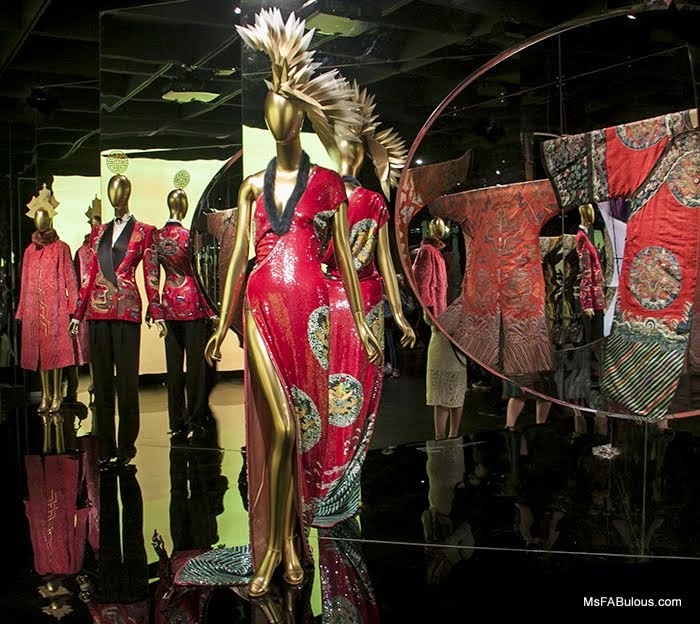 Many of the museum's antique archive pieces of Chinese garb were presented alongside contemporary couturier pieces that were clearly influenced by them. Groupings included looks that took traditional motifs and embroideries as its muse. There was a beautiful room of pottery inspired gowns. "Through the looking glass" is actually a paraphrased translation of a Chinese idiom referring to the reflection of the moon. There was a room set up to appear like a garden with a reflecting pool. The ceiling was a digitally animated moon progressing through its different phases while water droplets fell. The mirrored surface was the perfect stage to show all sides of the sculptured silhouettes of this gallery. 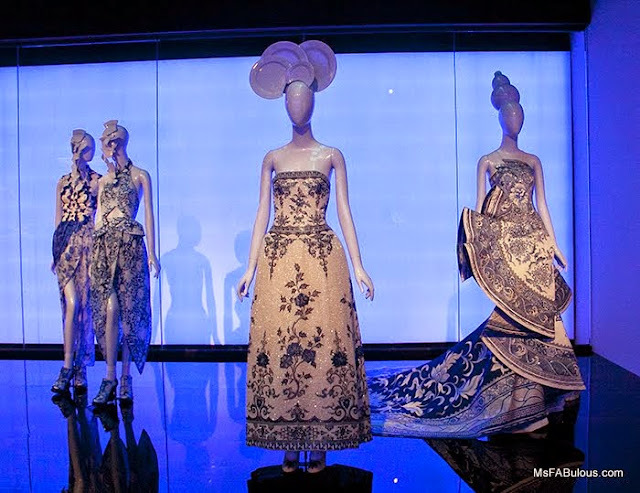 As a fashion fan, couture fan and Met museum fan, I loved this beautiful exhibit. However, as an Asian-American, I wondered where all of the actual Chinese contributions were? Of course, director Wong Kar Wai's participation in the exhibition was tremendous and heavily promoted. Within the exhibit itself, I found that 90% of the "fashion" looks were by Western designers. They were paired with Chinese antiques, but there was no discussion of how much China contributes to modern fashion. How many of the Western design labels who were celebrated here are produced in China? What percentage of their staff that designed, sewed, marketed and slaved to make their labels succeed were acknowledged? I have worked in all aspects of the fashion industry and Chinese talent has played a major part in every step. Where was this mentioned in the show? Of course, no exhibition on Chinese designers could be without Vivienne Tam. Hers is the most prominent brand to bridge traditional and modern pop culture with her innovative use of Chinese motifs. A few exceptions included dramatic pieces by Guo Pei and Laurence Hu. Otherwise, there were endless looks from Yves Saint-Laurent, Givenchy and John Galliano for Dior. While I can't argue with the beauty of the gowns themselves, John Galliano lost his position at Dior due to the embarrassment of his verbal attack using racist Asian slurs. 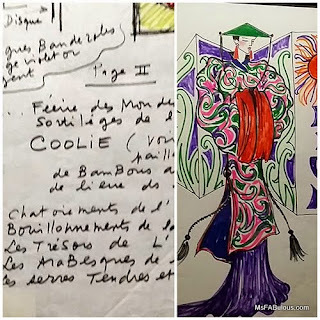 Design notes from Yves Saint-Laurent demonstrated how the brand appropriated the exoticism of oppressed classes using terms like coolie in their notes and slant-eyed racist sketches. There was an entire gallery of how Yves-Saint Laurent's Opium fragrance influenced the popularity of the Asian aesthetic and a small gallery of Paul Poiret using Orientalism as his signature trend. The percentage of European and American designers appropriating Chinese culture was presented in a way that seemed to convey that the Chinese culture was only validated as a design force only after Western designers chose to appropriate it. This was in line with Hollywood's prevalent "Great White Hope" approach to movies featuring any other ethnicity as a theme (think The Last Samurai). Actress Gong Li has also been heavily promoted in all the press releases leading up to tonight's Met Gala as co-host. No doubt there will be more Chinese nationals at this gala than ever before. However, how many Chinese guests has Anna Wintour invited before or will invite after this year? Many of the most influential designers of today's fashion scene are Chinese, like Alexander Wang, Jason Wu, Philip Lim, Anna Sui. I saw a hat by Jason Wu, but otherwise, I did not see any other pieces representing these designers. How about the technology, the innovations, or current trends from Chinese designers that don't fall neatly into the cliche idea of "Chinoiserie"? One remarkable exception was a room dedicated to a huge gold ballgown by Guo Pei. This designer should soon be a household name for her mix of technology and old-school couturier practices. The dress took over 50 000 hours of manual labor to make. There was a gallery of Anna May Wong, one of the very few Asian movie stars of any prominence from the early part of the 20th century. If one is looking for a gorgeous Asian classic Hollywood star to be inspired by, she would be the one. Unfortunately, she did not have much competition. There was a costume worn by her and similar gowns inspired by that era. While it looked beautiful, the thought that came to mind was how little progress we have seen for Asian actresses in light of how many years have passed since her heyday. I'm looking forward to seeing the red carpet from tonight's Met Gala for China Through the Looking Glass. I'm hoping that there will be a contemporary representation of the history shown at the exhibit today. While artistic and fashionable, this exhibition was breathtaking, culturally, there is still a long journey ahead.